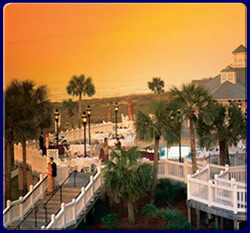 World Class, Inc. directs the tennis division for EventMakers-USA. World Class has developed a formula for producing a series of professional tennis tournaments that take place at some of the top private tennis resorts and sports facilities in the southeast. This exciting "invitational" format will offer a competitive field of players that currently hold or have p reviously held a national or world ranking. Many of the selected pros have been ranked in the world’s top ten in singles or doubles and hold Grand Slam titles. 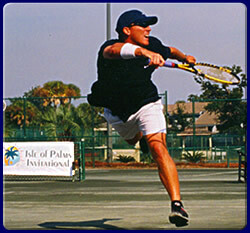 Most tournaments consist of a 12 man field of singles players and 8 doubles teams that compete for prize money. The tournament directors have hand-selected a roster of players whose styles of play and levels of experience ensure entertaining matches of the highest caliber. The players will also be selected based on their ability and willingness to interact with tournament sponsors and guests at all social functions. The mission of this tennis series is to bring one of the strongest and most competitive fields of professional tennis players to one of the area’s finest resorts in a fan-friendly forum that is free and open to the public and benefits a worthy charity. Each market is thoroughly researched so each tournament becomes the premier men’s professional tennis tournament in that region. All tournaments include both a tennis pro-am and even a golf pro-am, since many of the tennis pros are excellent golfers. Additionally, there will be social events including a Sponsor Reception and Player’s Party that provide customer entertainment opportunities for its sponsors and guests. © 2019 EventMakers-USA. All Rights Reserved.